I gotta tell ya…this is an OUTSTANDING article on giving customers/clients an experience. I couldn’t have said it any better. Whether you work in a restaurant or hotel, grocery store or auto repair shop, I urge you to read the entire interview. This guy offers a wealth of advice and tips to help others in what they do. In today’s society, it’s ALL about the customer service experience! Building loyalty is the K-E-Y! One of the great entrepreneurial success stories in food service and hospitality is the ambitious and sustained expansion of the Stephen Starr restaurant organization up and down the East Coast since its strictly-Philadelphian start in 1995. Since that time, not only have Philadelphia food aficionados experienced the cuisine, service and theatricality of Stephen Starr, but Starr’s empire has expanded to included restaurants in New York City, Washington DC, New Jersey, and Florida as well. Micah Solomon: What are some principles of restaurant customer service and customer experience that have stood you well over time in your career? Stephen Starr: Attention to detail is the most important tenet of customer service—everything from the restaurant design to the background music to the temperature of the dining room. It goes beyond noticing an empty glass of water. Every member of the service staff is trained to look at the big picture. We train our staff thoroughly and they are all practiced, so when I hear about a bad guest experience it must be addressed immediately. Our service is like a show, complete with opening acts, supporting characters, encores, and hopefully a compelling story. There’s theatrics involved with service and every night’s performance is key. One off night, one bad show, or a guest complaint because of service is unforgiveable. One of the most important things that has served me well over the course of time in the hospitality industry is anticipating guest needs. This isn’t just about folding a napkin when a guest stands up from the table or knowing that a sushi order at Morimoto [Starr’s Japanese restaurant, co-owned by Chef Masaharu Morimoto of Iron Chef fame] should get soy sauce for the table, although those details are important. It goes beyond that. This is about knowing what guests want before they know they want it. It’s about knowing that not everyone wants white tablecloths and champagne, people want a new experience and to be transported some place new. Every new STARR restaurant has come from a place of anticipating what is going to be next on the scene. I have enormous respect for the culinary scene in every city I open a restaurant in and really look at what’s missing, what’s working, and what’s next. It’s imperative that new restaurant concepts and new menu items anticipate what’s next and offer something new and exciting—before people know they want it. And that behind the scenes work is just as important as a polite host or knowledgeable server in the world of customer service. Solomon: How do you vary the service style between your restaurants? Starr: I don’t walk into Fette Sau [Starr’s barbecue restaurant] expecting the same service style as I would in Parc [Starr’s French cafe, bistro and brasserie]. But I do expect the same level of service from a BBQ joint as I do from a French brasserie. Whether it’s served at picnic tables or banquettes in a dining room, the customer experience is of utmost importance. People are looking for an escape and each restaurant provides something different; the guest needs to immerse themselves in the experience from start to finish. The service has to match the expected experience, so every member of the service stay has to stay in character, so to speak. If the servers at Parc don’t know what “grenobloise” means or what French wines we have in house, the entire performance and the guests’ suspension of disbelief is lost. I like to hire within and promote within the company, so we’ve seen a lot of employees start as a dishwasher or server at one restaurant and move up to manage another restaurant or become a director of several, so a lot of employees get to see the variations of service firsthand and as long as they have a solid foundation and training, adapting to nuances of each restaurant is simple. Just know the brand, know the guest, and know your role. Solomon: What trends in customer wishes and expectations that you are seeing, and how are you or do you plan to address them? Starr: The white tablecloth is out, and the quick, playful dining experience is in. This generation of consumers is shifting towards dining experiences that are less formal, more interactive—for the pleasure seeker. It’s in the menus—it’s what’s selling right now, our chefs are having fun with food and the guests get it. People don’t want to see a menu that only consists of pretentious classics, and if they do, they already know where to go. Restaurants need to adapt to this changing reality, so we adapt and we have a good time. We use social media to identify potential for operational changes and to engage with customers online. This allows me to monitor my brand’s reputation online and receive feedback. Our digital and creative teams know that people’s decisions nowadays are being made on social media—what to drink, where to eat, what’s trendy, and what’s for dinner. We make it visual and engage a diverse audience. Instagram is a great resource right now and our customers respond to it. Solomon: What’s more important: immediate buzz or customer loyalty? And how do you cultivate both? Solomon: Changing things up vs. being consistent: talk about this a bit as well if you don’t mind? Starr: I am constantly thinking about what audiences might want next. At Fette Sau, the menu changes daily with a different selection of meats available based upon the freshest and finest available from small, local farms. It’s all about knowing your audience and tailoring the setting to match their needs. [On the other hand, at Starr’s Barclay Prime, a boutique steakhouse that has been opened for ten years in Philadelphia,] the menu doesn’t have to change because it works. The décor is right, the service is exceptional and the guests are happy. We have servers and bartenders who have worked at Barclay Prime since the day it opened and guests know what to expect: consistency. 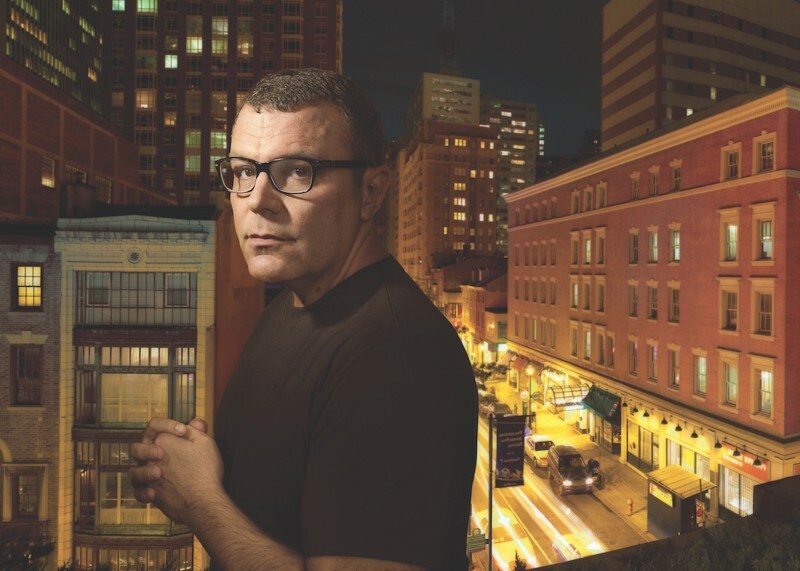 Solomon: What are you excited about/what’s new or next for Stephen Starr’s empire? Starr: There’s always something new at the STARR empire. Honestly, it’s fun to watch these concepts/ideas I had eons ago turn into landmarks—Morimoto has been on the block in Philly for 14 years, Barclay Prime for 10—I’m excited to see these restaurants still standing and growing and expanding. Aside from that, I’m really into collaborations right now and have seen enormous success with the work I’ve done with Aimee Olexy and Peter Serpico in Philadelphia. I like a challenge and something new, so who knows what will be next. I have wild, crazy ideas and an insanely talented team that makes them realities. Solomon: What should I have asked you? Starr: You should’ve asked me what my pet peeves are about customer service when I go out. My biggest pet peeve is a muggy, hot restaurant. A lot of restaurateurs might not consider thermostat a hospitality issue, but HVAC is key. Other than that, I’ve seen it all and more often than not, I think the customer service lacks in most establishments. I’m much more harshly critical of my own restaurants when it comes to hospitality and service, but I’m a one and done kind of diner. If I go out and notice one mistake, the dish is off or executed poorly, one paint chip, one piece of trash on the floor, that’s it. I’m done. If I witness something like that at one of my restaurants, that’s it. The dish is off the menu, the staff training is revamped, the paint is fixed. There will be action. But I can’t do that in someone else’s restaurant or they would think I was insane, so I just don’t go back. High standards have served me well, so in terms of customer service, I think I will keep them. Take note, Everyone! What he had to say will go a long way towards helping you grow. It’s all in how you apply it to your own situation. I know it was LONG but I thank you VERY MUCH for taking the time to read this! Thanks Bishop! A lot to learn from that guy! Next PostQuote of the Week: A Moron is a Moron!